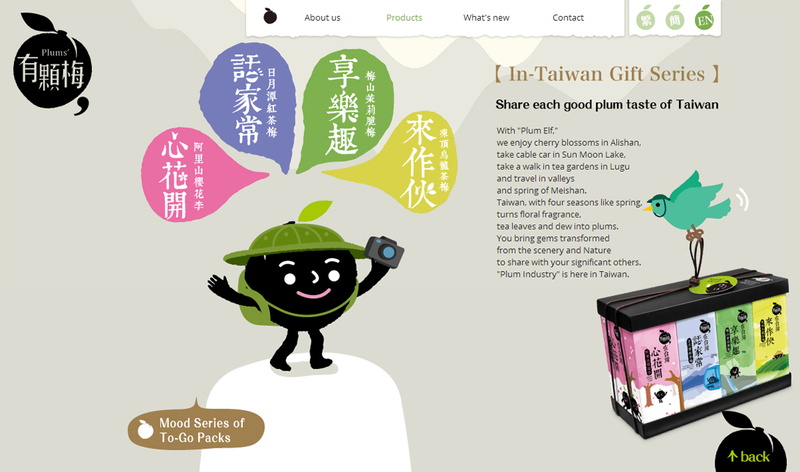 Cute One Pager for a Taiwanese based company that packages different assortments of plums. Some fun illustrations and infographics when you explore the site a bit. A new website one page style for Plums. Each mouthful of sweet taste tells the stories of soil and climate in Taiwan, which you can savor with the purest beauty. "Plum Industry" is here in Taiwan.